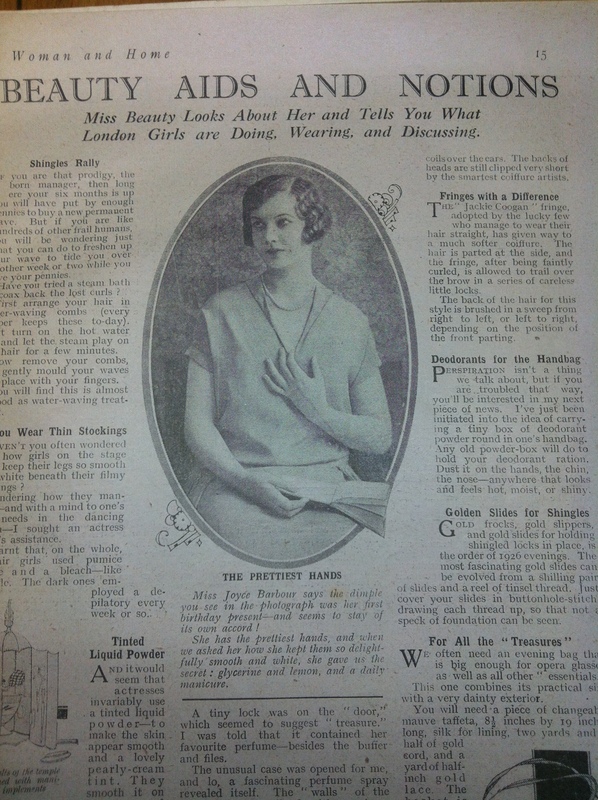 The date of the publication is November 1926! 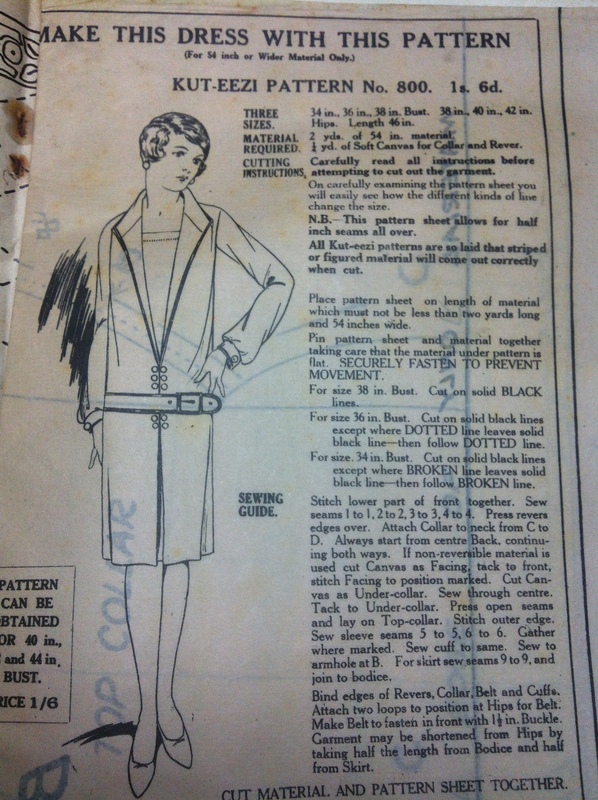 The ‘new kut-eezi printed pattern’ that is FREE inside is still in it, untouched, a fabulous 1920’s dress. 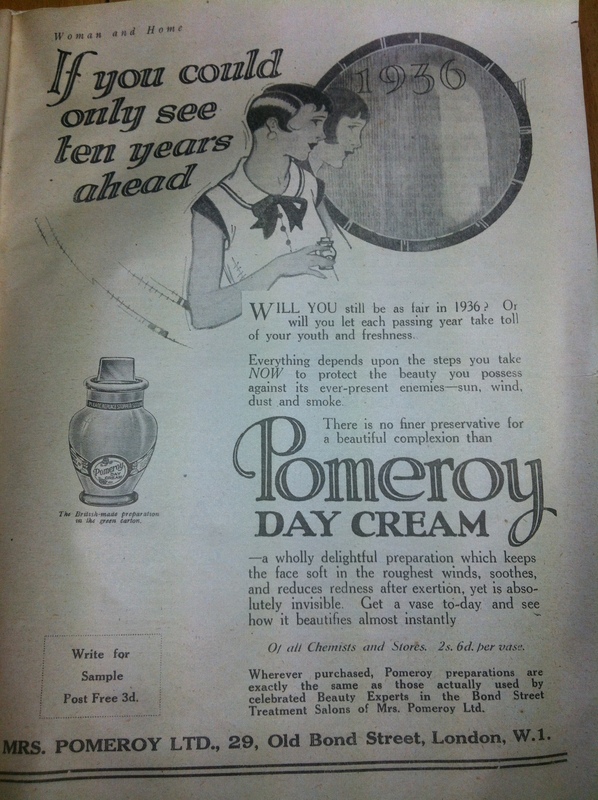 It is full of adverts for cold creams and face powders, germaline, soap and oxo cubes! There are recipes and craft ideas, how to make a raffia biscuit tin,and a leather handbag! 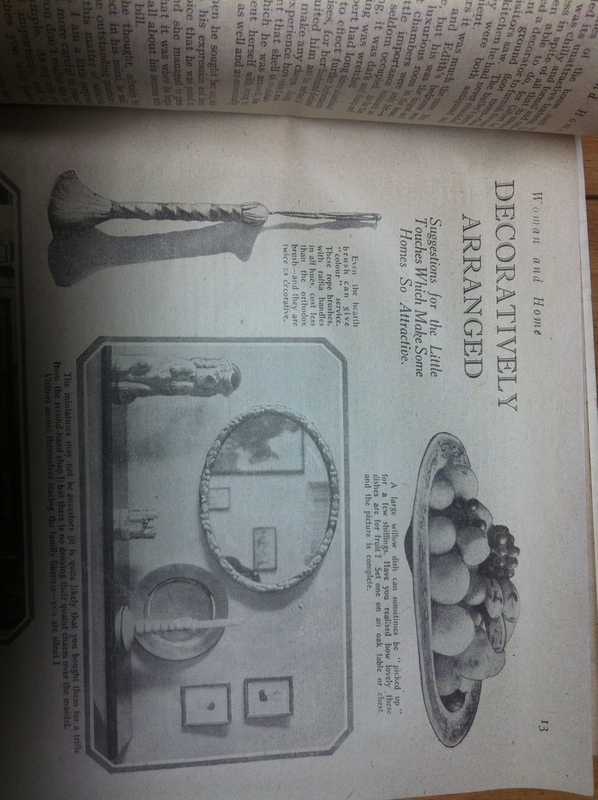 I really love the ‘Decoratively Arranged’ page which gives you ideas about how to display your fruit in your fruit bowl and how to display the things on your mantlepiece. 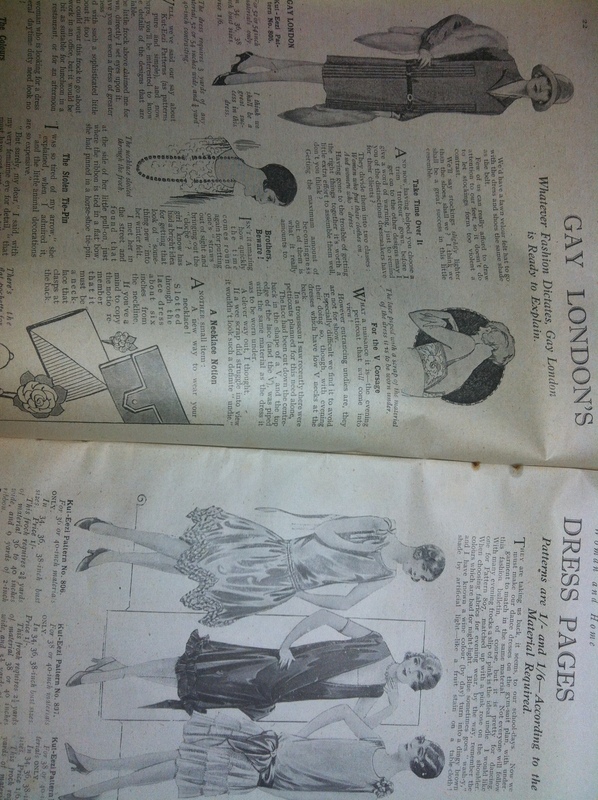 There are several pages of fashion idea’s on ‘Gay London’s Dress pages’ ‘Whatever fashion dictates Gay London is ready to explain’. 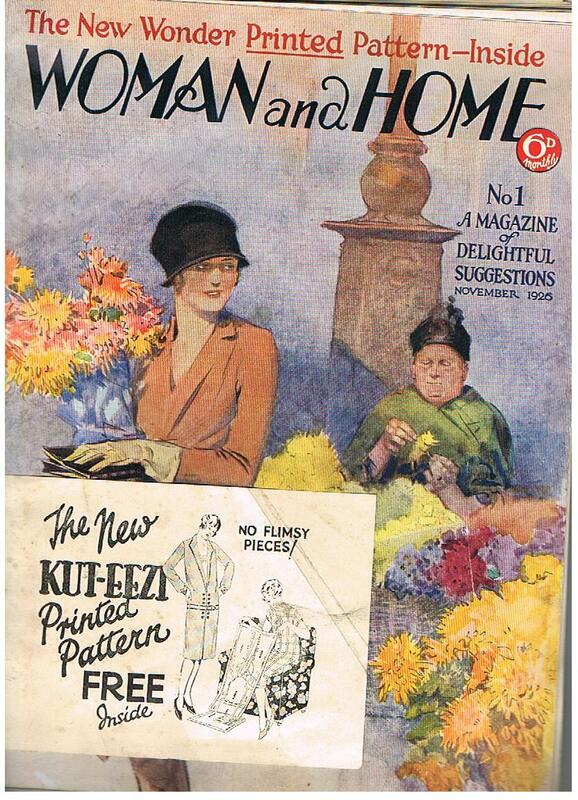 There is also a free knitting pattern for a vest and long knickers! The cookery page is excellent, now I know why my Swiss Roll won’t roll! 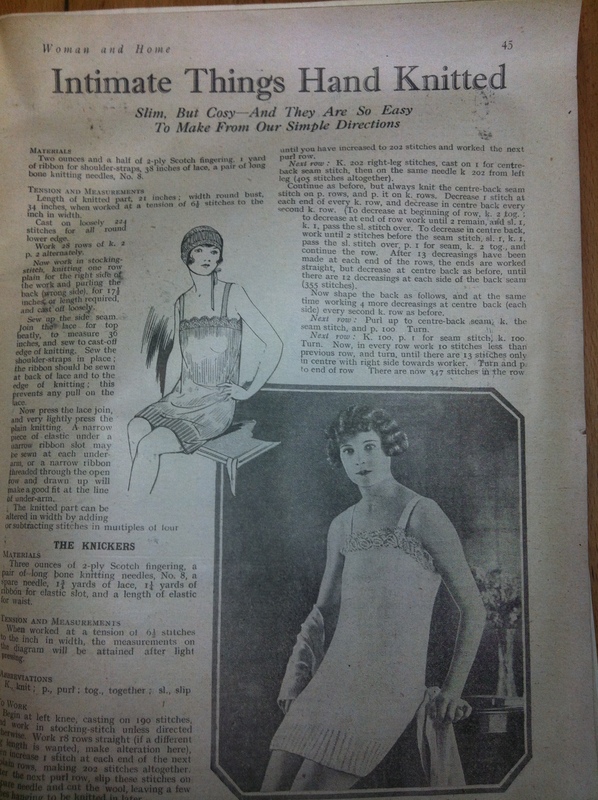 It is a fantastic gift, I am thrilled to be the present owner of such auseful and informative magazine, I might even attempt to make the dress. This entry was posted in Inspiration, Sewing Patterns and tagged antique, colette sewing patterns, retro, vintage, vintage magazine, vintage style by Trixie Lixie. Bookmark the permalink. 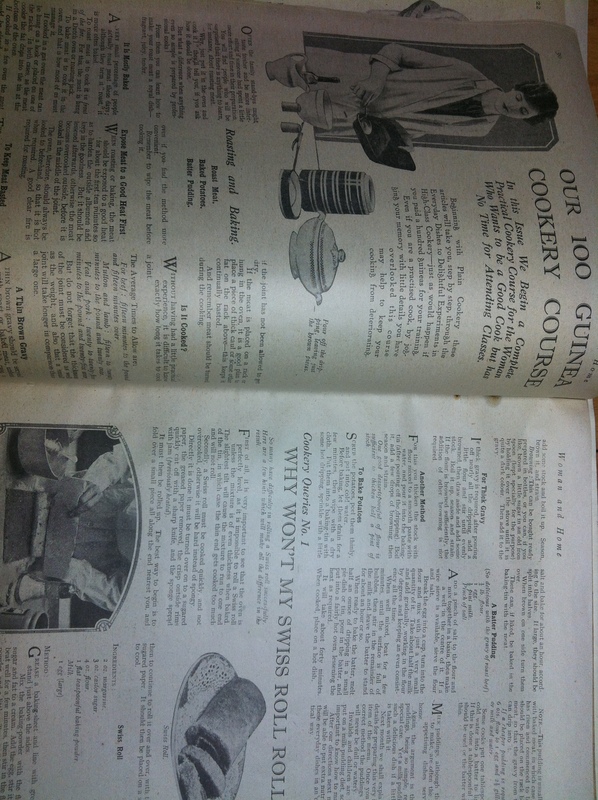 It is really interesting reading all the old articles, and the adverts are hilarious, I think I will have to post afew of them!